YouTube: Crash on psp ofw 6.20! 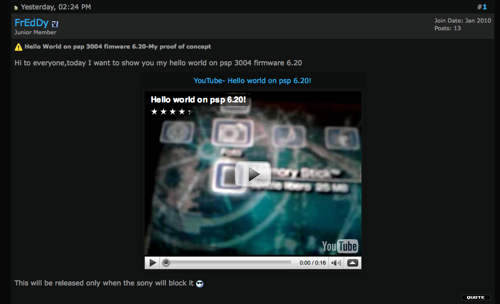 YouTube: Hello world on psp 6.20! YouTube: FrEdDy's and dark-smn 6.20 tiffcrash! YouTube: Hello World on 6.20-part 3-It's no fake!